View, Create, Share, Print: Everything you need in one place. We've detected that you are using Internet Explorer. Please note that HuntStand.com is not optimized for use with these browsers, and you may experience issues throughout the site. For a better experience, please use HuntStand.com with Google Chrome, Mozilla Firefox, or Apple Safari. Download the HuntStand app today! Build sophisticated and detailed maps of your hunting areas. Create personal pages and Club pages, allowing you to network with your hunting friends. View and share your hunting area maps with our revolutionary online mapping technology. 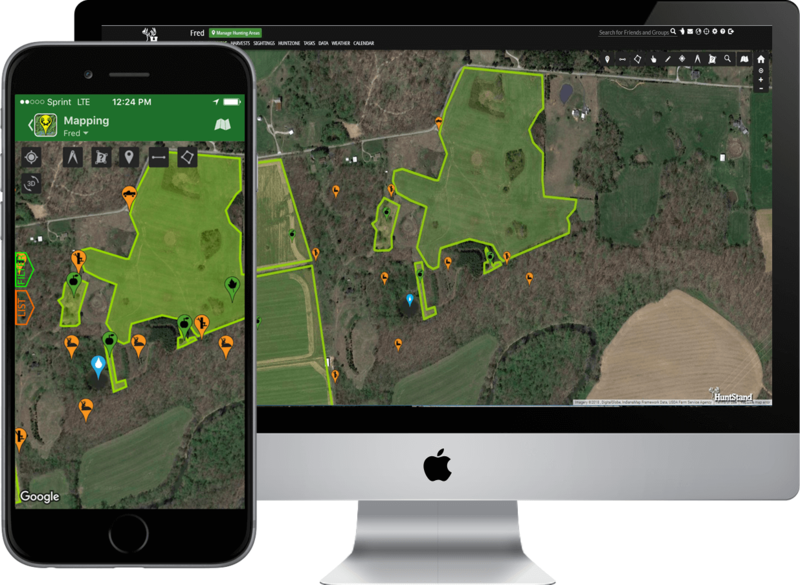 Use advanced tools that let you examine and understand your hunting area like never before. Show off your harvest information to your friends. A full mapping, collaboration and analytics online platform.